Our team combines architects and designers with heritage consultants, planners, conservation specialists, historians, researchers, materials experts and other specialists in aspects of the built environment. We are a dynamic, innovative practice in the way we approach our work — bringing together strategic thinking, design skills, technical expertise, research and experience. We are led by seven principals, each recognised leaders in their fields. Founding principal and award-winning architect Kai Chen is responsible for design direction and, with principals Anne-Marie Treweeke and Milica Tumbas, the management of architectural projects. 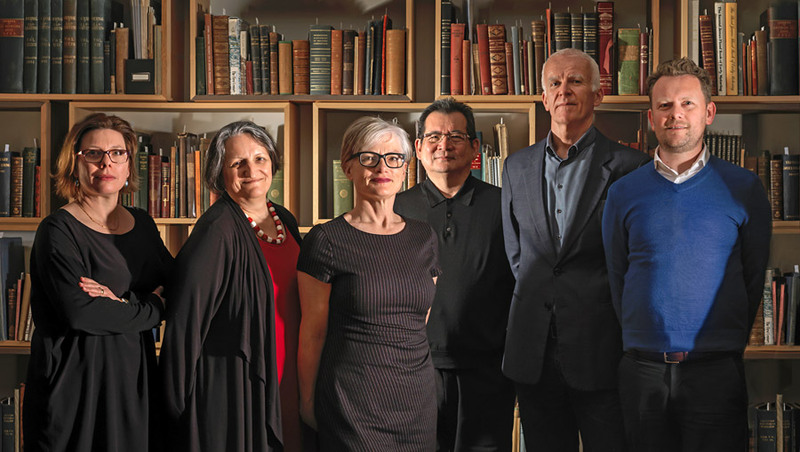 Peter Lovell, a key participant in the field of heritage practice, and also a founding principal, leads the heritage team with principal Kate Gray. Principal and experienced heritage practitioner Dan Blake leads the conservation works team. Whether we are designing a new building or adapting a heritage structure, providing conservation management advice or strategically planning managed change of a heritage place, developing a master plan or carrying out detailed restoration, our approach is based on an understanding of place. We find solutions, intelligent creative cost-effective solutions that respond to client ambitions, site constraints and statutory requirements. Lovell Chen works on built environment projects of all types and sizes, from large scale former industrial complexes to individual houses and structures. Our architecture, conservation and heritage teams work collaboratively, with clients and project team members, to deliver a truly integrated service. Our architectural team is led by practice director and founding principal Kai Chen, an award-winning architect whose work is widely recognised in Australia and abroad. He is an instinctive designer, passionate about good design and new ideas. His ability to solve complex architectural challenges underpins our success in the adaptation, extension and refurbishment of heritage buildings and places. Director and founding principal Peter Lovell is a key participant in the field of heritage practice, and takes the lead in many of our projects. He focuses on strategies that address the complexities of new projects in heritage contexts. Peter’s detailed knowledge of traditional building and conservation practice, and comprehensive understanding of adaptation and reuse issues, helps Lovell Chen achieve balanced outcomes.